A range of robust steps, ideal for industrial environments where strength and stability is mandatory. 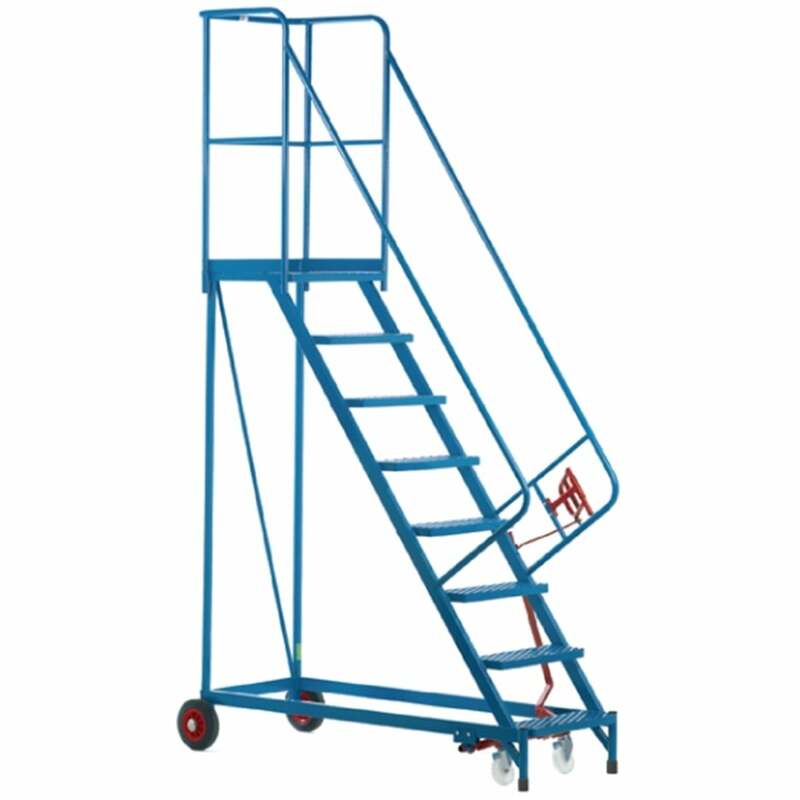 Constructed from robust tubular steel that provides stability whilst being manoeuvrable. Constructed with expanded steel mesh treads for easy drainage. Features a unique Grip Lift Mechanism that is fitted with retractable castors and facilitates movement. Six tread models and above are delivered folded; easy to erect. Optional security gate can be factory fitted. Needs to be ordered separately.